RUNA – An evening of Irish music, song, & dance! A lot of good things have happened to RUNA since they first performed in Colorado about 4 years ago. At the time they probably were relatively unknown west of the Mississippi, but now they are recognized on an international level, even making the cover of Irish Music Magazine (Dublin). RUNA won Top Group (US, IRE, EU, UK) and Top Traditional Group, and a nomination for Best Female Vocalist (2013, 2012) in the Irish Music Awards for 2013, and won both the fan ballot and judges’ votes for Best Song in the World Traditional Category for “Amhrán Mhuighinse” (Somewhere Along the Road) in the 12th Annual Independent Music Awards. 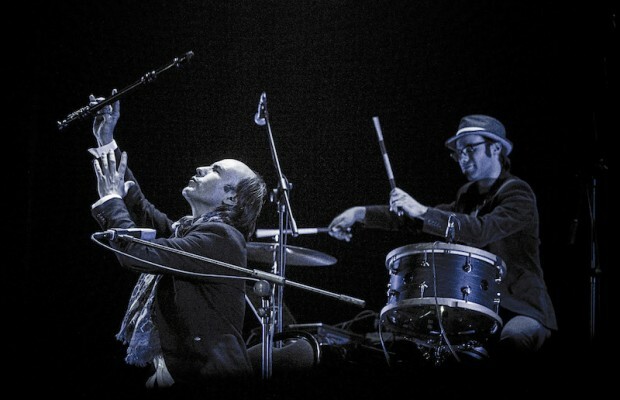 The band won several awards at the 2010 Montgomery Buck Music Awards, including Best Entertaining Band, Best Folk Artist, Best Female Vocalist, and Best Album – “Jealousy”. RUNA just released their fourth album, “Current Affairs” – hailed by The Celtic Crier as “an incredible masterpiece” and by Hearth Music as “Music inspired by tradition, but unafraid of a bright new future!”. The album is nominated for Best Irish CD of 2014! No doubt the addition of Dave Curley and Maggie Estes would be a plus for any band. Curley was in Denver a couple of years ago performing with SLIDE. The Galway native impressed all with sensational multi-instrumentalist (playing guitar, banjo, mandolin, and bodhrán, among other instruments), as well as a singer, and dancer with his velvet vocals and quick feet. 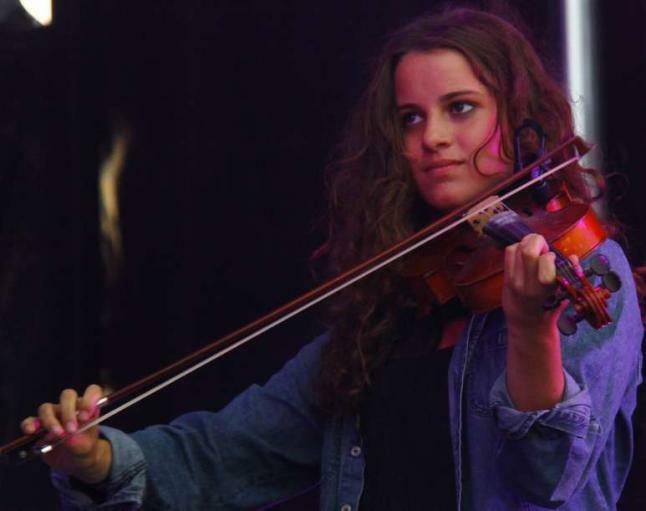 Maggie, a champion fiddle and mandolin player from Hopkinsville, KY., is emerging as one of the most talented young fiddle players in her new home – Nashville, TN. With bluegrass and classical training, Maggie brings a truly unique flavour to the RUNA sound. She has toured extensively with the Peter Mayer Group and with Keith & Kristyn Getty. Dublin born Fionán de Barra (brother Éamonn also played with Curley in SLIDE) is still providing monster guitar work for the band, along with Cheryl Prashker of Canada on percussion, and of lead vocalist and step-dancer, Shannon Lambert-Ryan. Carlos Núñez and his band to Return to Denver for One Matinee Performance March 1st at the Soiled Dove! 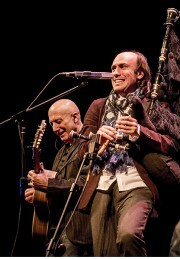 Carlos Núñez had not been to Colorado since he was an honorary member of The Chieftains and performed and toured on their 1997 Grammy Award winning album Santiago – which was dedicated to traditional music of Galicia and Galician emigrants’ musical folklore in Latin American music. In 2014 he made up for that with 2 sold-out Colorado concerts and an exhilarating show under the big tent at the Colorado Scottish Festival that left old and new fans abuzz. Carlos’s has released 12 albums to date, that have sold over 1 million copies and have garnered several Platinum and Gold CDs and DVDs, as well as 2 Latin Grammy nominations. His most recent CD/DVD ,” Inter-Celtic” features special guests The Chieftains, Altan, Sharon Shannon, Dónal Lunny, Ry Cooder, Alan Stivell, Dan Ar Braz, Capercaillie’s Donald Shaw, and others. Join Celtic Events/Celtic Connection at the Soiled Dove in Denver March 1st for a fantastic afternoon with Carlos and friends! at https://www.ticketfly.com/purchase/event/730781?utm_medium=bks or 303-830-9214. Show information contact Celtic Event/Celtic Connection 303-777-0502. Note: The Soiled Dove is below The Tavern at Lowry who serve great food before, during, or after the show. Alan Doyle readily admits to channeling the spirit of Ferris Bueller. That is to say that the former front man for Newfoundland’s famous Celtic-trad-rock band Great Big Sea wants to take you along for the greatest single day of your life. Or at the very least he wants to help you to entertain the possibility of such a day. The Doylean concept of the hunt for ‘the greatest single day,’ one filled to capacity, is a corollary of something at the core of his belief system. Doyle believes profoundly in making the most of the limited time we have in this vale of tears. I caught up with Alan via phone from Canada just before the roll-out of his new solo tour. 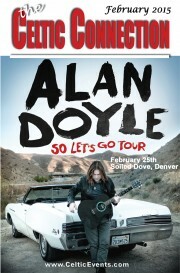 Denver is stop number one in the States – a February 25th date at the Soiled Dove Underground. So how, I wanted to know, does he manage to write songs, blogs and books – seemingly relatively introspective pursuits, when he isn’t alone. One might imagine him quietly awaiting the muse. After all, he received his degree in English from Memorial University of Newfoundland at St. John’s. One would be wrong. Very wrong. “The book was one of the most solo things I’ve ever done in my life,” he admitted, “even though I did it in very public places. I wrote the whole book while I was doing something else on the tour, on the bus, at the airport.” And that’s part of the Doyle approach – fill every moment. So he is filling the moment again with a new album and a North American tour. For this new tour Alan promises a bit of the old and a bit of the new. Kris MacFarlane, the drummer on several of the last GBS tours, is part of the new band. Joining in is Kendel Carson, a comely Western Canadian with serious fiddle credentials and a country sensibility, having played with the Paperboys and Chip Taylor. The show is certain to feature some well-known GBS tunes, some of Alan’s own stuff – the old and the new, perhaps some trad and a dash of the unexpected. Doyle promises a great ‘kitchen party’, as oft times before. It is clearly where he pours the greater part of his substantial passion. “A great fun night out – what people have come to expect from me when I’m at a microphone,” he assures. “And I like being part of a [musical] team,” he says. “I don’t have a bucket list. I honestly don’t have one,” he insists. Yeah, sure, he admits in a reflective moment, “happy and healthy and all that stuff, of course,” but mostly it is about the music and the filled moment. But the next moment the troubadour comes through again. “Concerts are a magical kind of a thing. As a kid I’d watch my uncle play at the dances and it was people working hard all week and this is where they’d come. This is a perfect match — the band needs a crowd and a crowd needs a band.” Both fill each other up – every minute. The title track on Doyle’s new release, his second solo album, So Let’s Go, is written and performed in just that spirit. The texture and color of the piece instantly will be familiar and welcome to those who know the Great Big Sea hit Consequence Free and it’s slightly more muscular cousin, Straight to Hell. Breifne Earley set out in February 2014 from Leitrim, Ireland to cycle 30,000km (18,000 Miles) around the world to help raise awareness for Suicide Prevention by sharing the message of Cycle Against Suicide – It’s OK not to feel OK! He will arrive in Denver on or before Friday February 13 where he will be a guest that evening at the Celtic Tavern in Denver at 6PM. Proprietor Noel Hickey said there would be entertainment, bar specials, and that admission will be free but a hat will be passed to for those who would like to help support Breifne along his mission. Denver Pubs/Restaurant Katie Mullen’s and Nallen’s Irish Pub will also host Breifine on Saturday and Sunday. In 2010 Brifine felt in a rut in a number of areas and contemplated suicide. He made a conscious decision to not give up on life and compiled a list of things He’d like to do with his life and told his friends about his plans. He encouraged people to take time to talk to your family, friends and loved ones, ask them how they are feeling and listen and engage with their response.